The biggest box-office hit in Taiwan (tái wān 台湾) last year, costing NT$50 million (US$1.5 million) to make, Cape No. 7 (Hǎi jiǎo qī hào 海角七号) is a 2008 Taiwanese romance comedic music drama film written and directed by Wei Tesheng (wèi dé shèng 魏德圣), his first full-length motion picture. the movie became a big hit in Taiwan after debuting in August. By October, it had taken in more than NT$400 million at the box office, second only to the worldwide blockbuster "Titanic" in Taiwan’s cinematic history. Before its commercial release, the film was world premiered on June 20, 2008 at the 2008 Taipei Film Festival as the opening film. The film later won 3 awards in this festival. 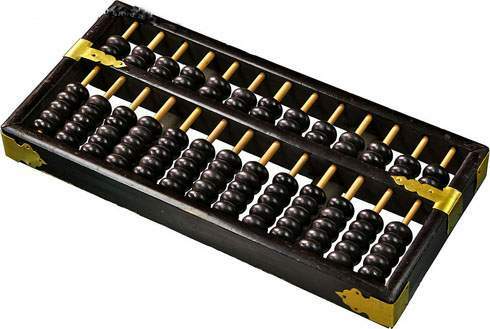 Many centuries ago, the abacus (suàn pán 算盘) evolved independently in many countries throughout Europe, the Middle East and China. Its use is recorded in China as early as 6th century B.C., from where it found its way to Korea and Japan. In Wong Kar Wai (wáng jiā wèi 王家卫)'s debut English language film, My Blueberry Nights (lán méi zhī yè 蓝莓之夜), the internationally acclaimed director takes his audience on a dramatic journey across the distance between heartbreak and a new beginning. Seting out on a journey across America, leaving behind a life of memories, a dream and a soulful new friend, all is for the search of something to mend the broken heart. Through individuals, viewers witness the true depths of loneliness and emptiness but hopeful. As the line goes: "It wasn’t so hard to across that street after all, It all depends on the one you’re waiting for on the other side. Chungking Express (chóng qìng sēn lín 重庆森林) was the first of Wong Kar Wai (wáng jiā wèi 王家卫)'s films to gain international plaudits but was actually made as a cinematic exercise to help him regain some perspective in the middle of editing a huge Hong Kong (xiāng gǎng 香港) epic: Ashes of Time. The film, a simple, straight forward character piece that reaches unexpected levels, rightly described as a love note to Hong Kong, tells two different and unconventional love stories connected by having cops and a fast food joint named Chungking Express. Made with a down and dirty feel which probably reflects the production itself as well as the intended style we are brought into the streets of Hong Kong and the bustling effervescence of this city as only Wong can describe, which makes it unparalleled to any other. The Equation of Love and Death (lǐ mǐ de cāi xiǎng 李米的猜想), also called Aishichang (ài shì cháng 爱逝偿) is a 2008 Chinese dramatic film written and directed by Cao Baoping (cáo bǎo píng 曹保平) and starring Zhou Xun (zhōu xùn 周迅). The film is a Chinese Huayi Brothers (huá yì xiōng dì 华谊兄弟) and Hong Kong (xiāng gǎng 香港) co-production. It is Cao's second solo feature after 2006's Trouble Makers (jué duì qíng gǎn 绝对情感). This time, the film concentrates on small potatos: strange woman bus driver, countrified “criminals”, a serious policeman and a mysterious handsome guy. This is not a mysterious movie but a movie reflecting the simple and pure love, distressed and touched, which is just around our daily life. 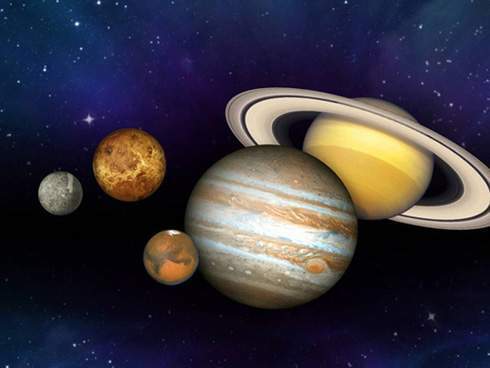 As early as in Spring and Autumn Period (chūn qiū shí qī 春秋时期) and the Warring States Period (zhàn guó shí qī 战国时期), Chinese people had made great achievement in astronomy. Based on their long-time observation of the celestial phenomena, Gan De (gān dé 甘德) of the State of Qi (qí guó 齐国) wrote a work titled Astronomy and Astrology (tiān wén xīng zhàn 天文星占) in eight volumes, and Shi Shen (shí shēn 石申) of the State of Wei (wèi guó 魏国)wrote his Astronomy (tiān wén 天文), also in eight volumes. The later generations combined their books, naming it Gan and Shi’s Celestial Book (gān shí xīng jīng 甘石星经), which is the earliest astronomic work in the world.